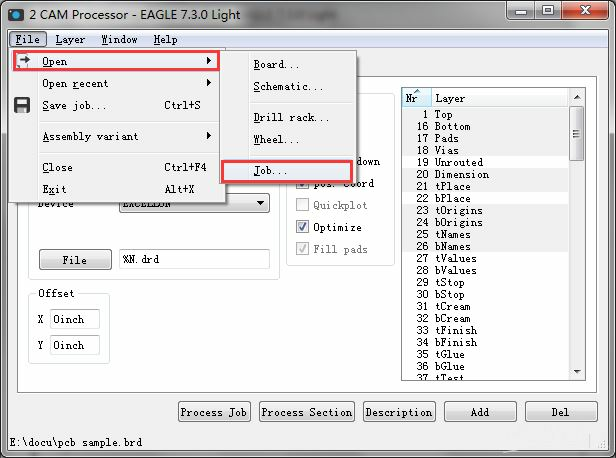 Summary： In this tutorial, we are going to show you how to export gerber files from your eagle .brd file. 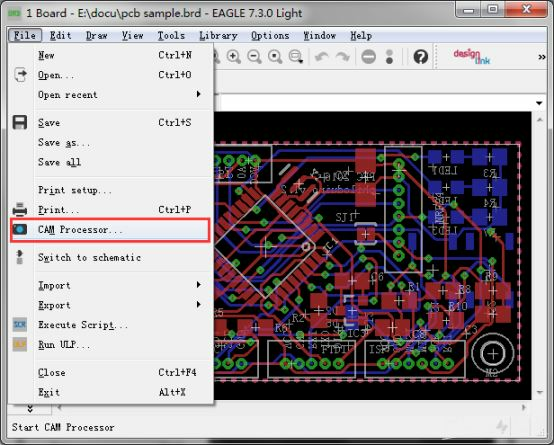 Generally it doesn't work to use the Eagle files for PCB manufacturing , so the situation will be better if you can send the Gerber files directly to a PCB fab. 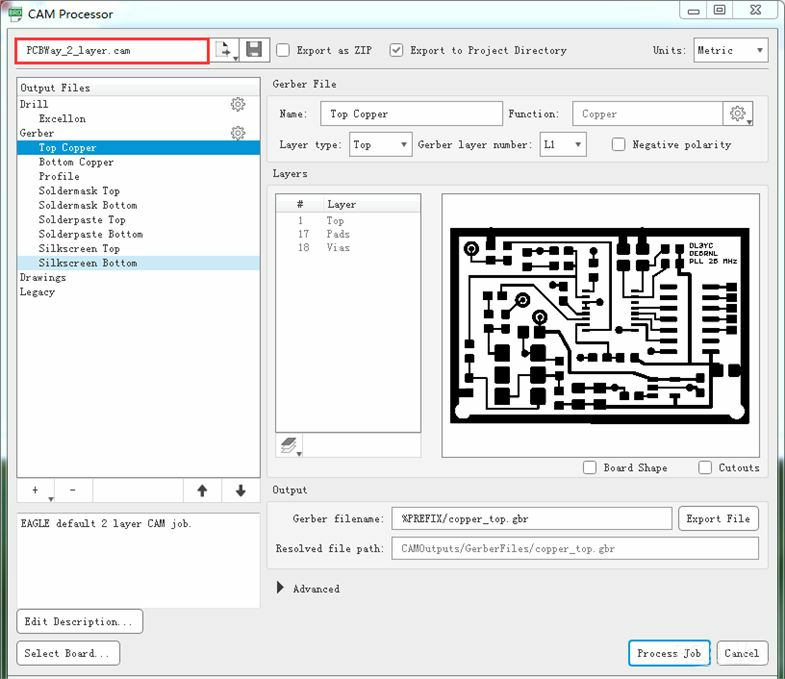 In this tutorial, we are going to show you how to export Gerber files from your eagle .brd file, then you can upload it to PCBWay online system for fabrication. Before generating Gerber files from Eagle, firstly you need to confirm the silkscreen is on single side or double sides, because only the top silkscreen layer (tPlace and tNames) would be generated by default in Eagle software. When your PCB has double sides silkscreen, you need to add the bottom layer as well (Dimension, bPlace and bName). If there is any milling design in your brd file, please add extra outline layer and check the"Dimension"> "Milling". After following the 4 steps you will have all the necessary files needed for PCB manufacturing. File -->Run ULP --> the pop-up "Drill Configuration" dialog box and click the "OK" button to generate the corresponding drill configuration file. 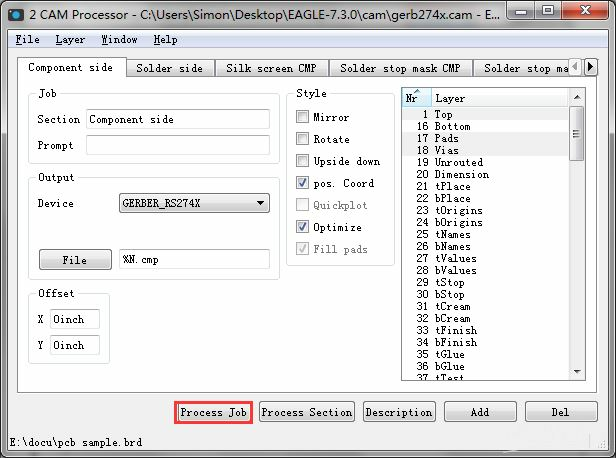 Open the .brd file, and then click the "File" menu to open the "CAM Processor" dialog box. 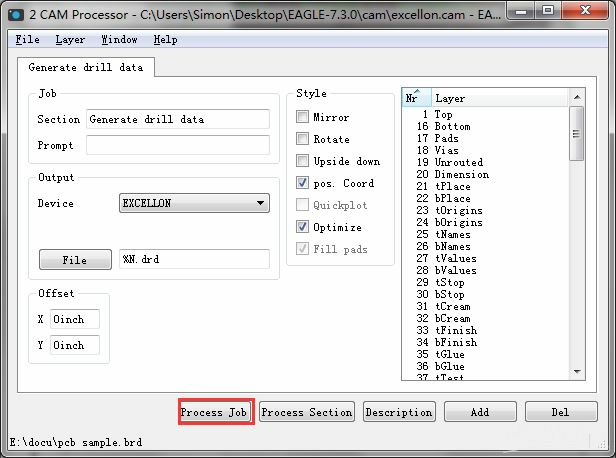 In the "CAM Processor" dialog box, select "File" -> "Open" -> "Job ..." command, open the "Open CAM Job" dialog box, select the "excellentone.cam" and click "Open" button. After completing the above steps, in your. brd file where the directory will generate some other documents --- Gerber files ,which can be sent to the PCB manufacturers to produce. But before you upload the Gerber files to PCBWay online system or other manufacturing fab, you should always check all the layers and look at them using a Gerber viewer to make sure everything is ok. The final step is to Compress all the files in a single .zip file, then you can fill out the form about your PCB parameters ( size, quantity , layers , thickness , etc ) on our “PCB Instant quote” page and upload your .zip ( Gerber ) file to PCBWay online system, our engineers will check it again and feedback to you if any problems happen before it can be fabricated. Here we go!